This topic contains 15 replies, has 4 voices, and was last updated by modernknight1 8 months ago. Some time ago MK gave me some ships originally made for Mount & Blade, to try and import into this game. I’ve had some problems with textures, because some of them are probably missing and sometimes it’s not clear what texture is needed in a certain part of the model. Nonetheless I was able to set up a first ship, a frigate, for the conversion process and it’s working! There’s still work to do, but if I don’t have problems with textures, there will be new ships soon. That’s awesome Orazio! Once you get the texture mapping done will it be possible to make three or more different skins for the models? I have some creative things I would like to do with a few of these. Hopefully you don’t have to completely rebuild anything. This cludge of OSP ships, buildings and other stuff was given to me a long time ago. Some of it went into building a mega mod called the Deluge. A bunch of it was supposed to be used for a mod called Glory of the Sun King, but that mod team and effort unfortunately died out. Some of those ships I don’t think have ever been seen in an actual game so this will be exciting! 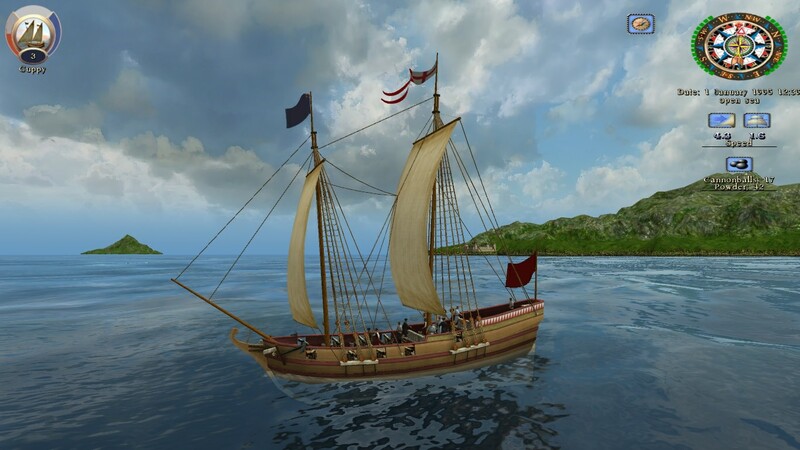 I am also wondering now that you have seen the construction of these ships – would it be possible to reverse engineer some of our ships into the Mount & Blade/Caribbean: Blood & Gold format – so that we could port them into Blood and Gold. I was approached a long time ago to lead up a modding effort on that game as well – and when we start our new forum/site I would love to dedicate some of my effort to modding that game as well. We could tie that part of the forum into the Taleworlds website. VERY Exciting times! Thanks for the wonderful news! This reply was modified 2 years ago by modernknight1. The UV mapping was already done by the modders who created those ships; I simply apply the textures. Of course it’s possible to have 3 different hulls, all that’s needed is to modify the existing textures. This ship however doesn’t use a single texture file for the entire hull (you won’t see one side of the hull without breaks, like the default AoP ships), so making changes involves modifying different parts of different files. Description, name, and stats of this frigate should be adjusted, I didn’t take time to do them properly. About making AoP ships compatible with M&B, it’s possible. M&B engine supports normal maps and specular maps, while the Storm Engine doesn’t. This means we need to create them for every ship we want to convert. For normal maps we can run the textures through the apposite NVIDIA plugin, but that’s not always the best solution, and sometimes a greyscale template should be created to get a better normal map. For specular maps it’s a matter of creating another texture, in greyscale. 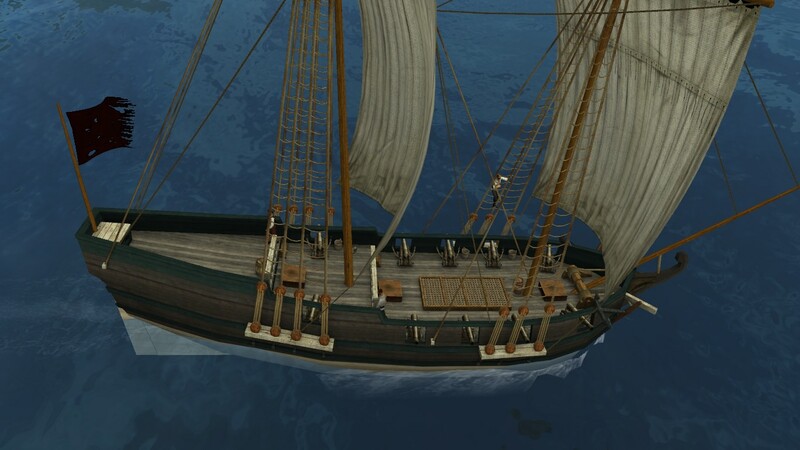 The (running) rigging and the sails should be completely re-done: locators won’t work in M&B. I also think they should be animated, and that is even more work. So it can be done, but requires some additional work, and for me it’s not worth it now. Another one done! A small schooner. Among those models, there are some that are named “assault” and “siege”, and are much more detailed than the others. I think they were meant to be used as boarding scenes, the same as sieges in vanilla M&B. Actually I’ve seen many screenshots/videos of Caribbean! where people were fighting on these models I’m talking about. So I’ve decided I can use them to create new boarding scenes for ERAS (and maybe new decks for when you board a friendly ship and speak to the captain). Right now the game only uses three types of decks: small, medium and big, and the boarding scenes are small-VS-medium, small-VS-big and medium-VS-big. Not enough variety! The first one I’ve decided to make is something like big-VS-big. Hope I can get it to work! Testing the new boarding location. Everything seems to be working for now..
At first I created the locators so that every crew would start on its own ship, but then I realized this way they always end up jamming the two gangways between the ships, with all the action focused in that spot. So now sailors are spawning in a mixed way on both ships, and the action is more spread and there is no jamming anymore. This is great news! So if we can add this boarding scene then I would like to add some others as well which I have in my possession. 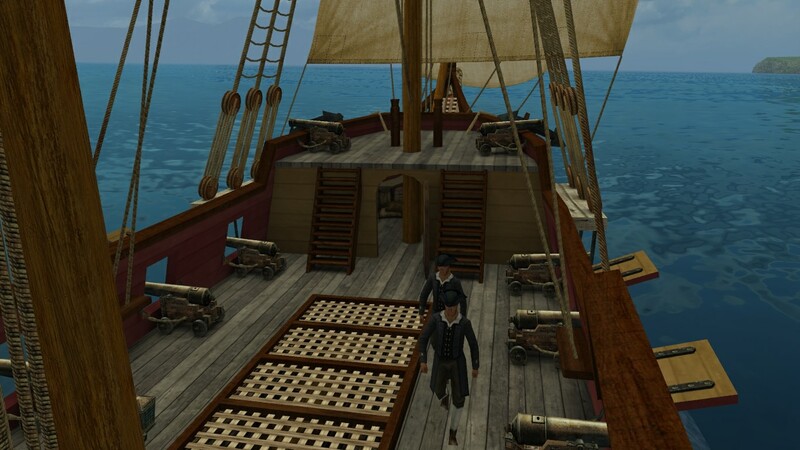 If you look at the French Ackmod, KK was able to add in the decks from old Caribbean Tales. Those are some great decks – very large. I have never liked that there was never an equal pairing of ships when boarding. I would also love a small vs small rather than medium size vs small for many of the boarding encounters. As I’ve always said, variety is key! So I also have to ask, would it be possible on the frigate above in this thread to change the texture map so that the stern has a separate full section dedicated above the windows? As it is now it is just reusing the dark planks that are also used as the strakes, so there is nothing creative I can do with decorating the stern. If not, then I have some other ideas for that ship. Love the little brigantine schooner. Nice! Thanks so much Orazio! I can’t wait to take her for a spin! So I have to apologize for my absence and my lack of contribution the last couple of weeks. I know I owe everyone a lot of stuff. Things at home have been more my focus with clearing fence-lines, selling off a motorhome and cleaning all of the stuff I had out of it. This was a big one and I had a LOT of stuff on board. In addition, I had to get our taxes done and dogs needed shots. Also had the grandkids here. So busy busy. In addition I have been going through a sort of melancholy or depression since my dog died and it didnt get any better after taking my grand kids back to my daughter’s. I just have not been my happy usual productive self. I have been playing the game more as a sort of escape rather than working on it. It works so great now i can play for hours with no crashes. I am finally coming out of the depression – in addition – I am on my way to the Yucatan and Cozumel come tomorrow. I am taking my netbook on the ship so I can finish up some writing while aboard. I have a bunch of new stuff almost ready to go and I think this little trip will charge my batteries and get my head right again. So expect a whole lot of new content/stuff when I get back. I will be gone for a week. I’m sorry I haven’t done more. I’ve become a little of a perfectionist on some of these new city textures and some of the new Hull4 and Hull5 skins. Wait till you guys see some of these and the new English soldiers I got from Myth! You guys I think will be surprised at just how much I’ve done when you get my new stuff. I will have internet on the ship and will be checking in periodically. Otherwise I will be back here with a significant amount of new stuff ready for Jeffrey’s update when I get back. I truly love this! Can hardly wait for these new ships and decks! SO GREAT! MK I know you are gone right now and I emailed you as well. If you see this first, Myth is trying to reach you about doing some textures for him or at least helping him. As I told you before, he gave us permission to use his new soldier models but in exchange for some help. Please contact him when you get back. The first new boarding scene is completed. Here a screenshot, not in game because I can’t get the free camera to work! 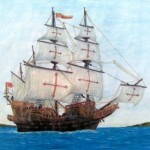 I have also used these two ship models to create two new decks for peaceful boardings of friendly ships. I gave the file to Jeffrey to be included in the next update. 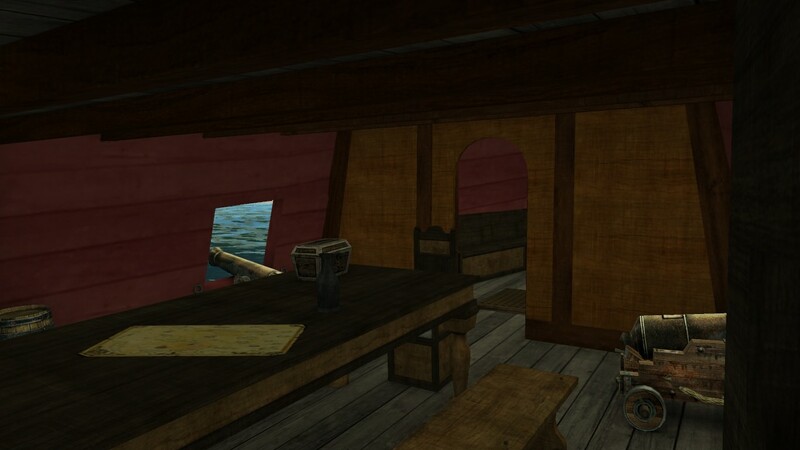 About the M&B frigate, yes I can assign the stern a different texture so you can add decorations. I will be doing that soon. The timing was perfect, as I have briefly gone through MK’s new additions, and just now got Orazio’s decks, so they will be included. Give me a little time, and the update will be coming shortly. Another one done: a ship of the line, the biggest in the package I got. I copied the stats from the Zeven Provincien, so somebody should tweak them a bit to make this ship more unique. As MK asked, I have also re-arranged the UVs of the stern and the quarter galleries, so now it’s possible to add decorations. There is a small text file with instructions in the download. I encourage everyone that knows how to make textures to try and create a better stern and galleries for this ship, since right now there are just basic planks. THIS IS AWESOME! Thank you so much again Orazio. I am doing some great stuff with this one and she will be ready for the new patch soon. In the patch Jeffrey gave me to test, I just ran into the new boarding scene last night and I WAS TOTALLY PUMPED!!!! IT WAS SOOOO COOL! Both were slightly improved in their appearance, especially the pinnace. For this one, I modified the masts to add a topsail, as per MK’s request; remade a few things that weren’t good, like the shrouds; added fife rails, gun port lids, a tiller and other minor elements; opened two windows in the stern; and created basic interiors since originally they made the main deck fully accessible but it was also empty. I sent the new pinnace to MK, so I guess it’ll be included in one of the future updates. And this is the chaloupe I did few months ago. This reply was modified 8 months ago by Orazio. Thanks for finishing that one up! It looks grand! Love the extra details as always. Those things always distinguish your work as an Orazio creation. I have all kinds of plans for it. I have lots of images I have been collecting for my book over the years of pirate and merchant craft from the mid to late 17th century. This one is interesting because it can technically be classified as a pinnace but with its two masted rig it would have been known by the French as just another Barque Longue (in Dutch Langeboot) or in English Long Boat. However the Dutch get more exact with these types of craft and were the first to come out with the term “Snauw” (snow) in the mid 17th century, which literally translated means “beak”. The beak or prow on this vessel is indeed more indicative of the Dutch vessels of the period – but I know that both the English and French built similar examples and these can be seen in the old wood cuts and lithographs I’ve collected as well – but with smaller lesser pronounced beaks. The French called their version a “Senau”. 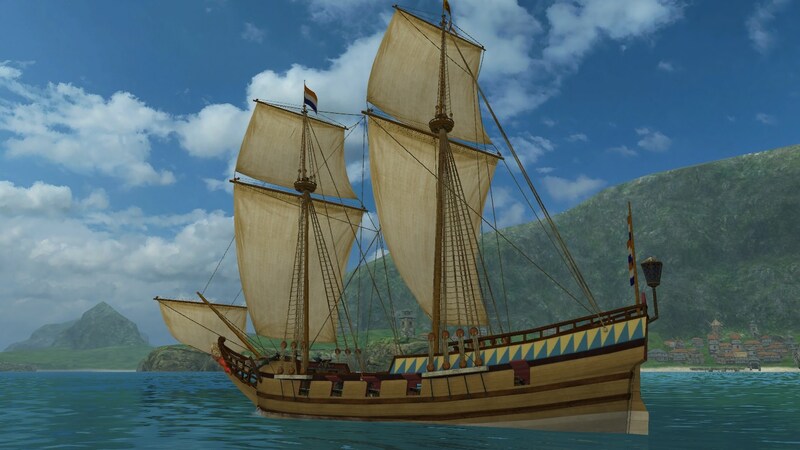 So I am leaning on naming her Snauw in the game and she will be available to all factions except the Spaniards who favored the small lateen rigged xebec type ships and tartanes to do the same work these Snauws would have. 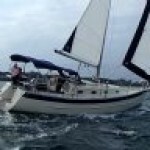 Perhaps you could make another variant of her with a small mizzen mast with a single small lateen sail. I would call her Small English Pinnace and give her a little heavier more durable stats. Already working on a bunch of skins for her. She is gonna be awesome in the game and will be the starting ship for several of the new “Trader Joe” captain characters I am working on as well. Thanks again Orazio! Another gap in the ships we are missing filled.